Avoiding Dementia via Brain Training - Anglia Counselling Ltd.
As awareness of dementia and other related neurological disease becomes more widely available, clients I see are naturally concerned about what this may mean for them – particularly if they are exposed to this insidious condition by way of parents or significant others. Alzheimer’s disease is the most common cause of dementia and may contribute to 60–70% of cases. What can we do to reduce our chances of contracting dementia? For a number of years now the personal development industry has, among others, promoted “brain training” as a means to improve the health and overall ability of the brain to “stave off cognitive decline”. This industry has become so successful, based on these claims, that many millions of pounds/dollars are spent each year by the anxious consumer. However, research tells us that learning the tasks set in brain training activities (ie solving crosswords, playing Sudoku, chess and other mentally taxing exercises) produces skills that are not broadly transferable to the rest of our cognitive requirements! In other words, getting ‘strong’ at brain training exercises, improved our ability to do… well, those brain training exercises! 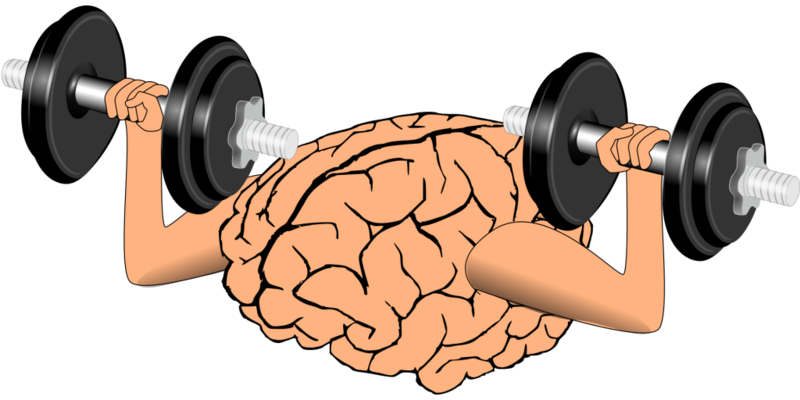 I’m not immune to wanting to prolong my cognitive abilities for as long as possible and it seems to be that some of the ways to help increase the potential for this are about increasing and maintaining our aerobic input  (yes, exercise! ), enjoying a healthy diet – and increasing our ability to relax; be less stressed and anxious. Cognitive decline is however, for most of us, a natural and inevitable effect of the ageing process! There is also a longstanding school of thought that suggests we have so much of our brain that is “untapped”. The excellent book, The Invisible Gorilla, suggests that it is unlikely we would evolve, as humans with such a large head – and the inherent difficulties this poses during the journey through the birth canal – unless it was wholly necessary! Secondary to this, surely we would use all the available grey matter now, today! The idea that the brain would sit mostly redundant for even more millennia seems at odds with ‘our’ evolution. The link in the paragraph above to “The Invisible Gorilla” provides excellent – and often ‘shocking’ observations under scientific conditions, around how what we think we are intuitive to, what we cognise and believe we are seeing and sensing – often betrays our true abilities. This doesn’t have to be a negative, but it does serve to perhaps help us accept in some ways the futility of some of the efforts we subscribe to that may be lacking in efficacy for protecting our cognitive functioning, believing that we will lose a ‘perfect view’ enjoyed today! I recommend this book and viewing the now famous “Invisible Gorilla” experiment for yourself! Attending your appointment with life – now! So, eat well, rest, play, love, laugh and exercise to provide what would be a more optimal lifestyle into older age. By all means ‘brain train’ but re-cognise the benefits in a more aligned way, for what they may be. Be aware of all of the above, live more mindfully. Do you want to alleviate some of the less healthy aspect within your thinking and behaviours? Call or write, because it’s never too late. “Hertzog” et al. “Enrichment effect on adult cognitive development”. A.F. Kramer et al. 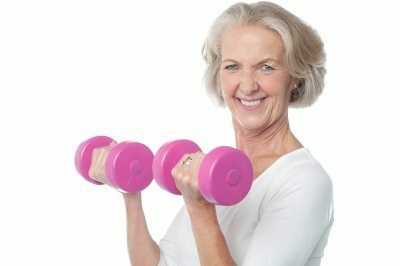 “Ageing, fitness and neurocognitive function. Nature (400) 418-419. I found this link on Twitter. I think this is a super interesting subject, mostly because those of us who have histories of dementia in our families kind of live life thinking that there’s not much we can do about it. But what if brain training is the answer? I used Lumosity for about a year and got tired of paying the monthly membership fees, but I do honestly think it was making a difference. About a month ago, I switched to MindGamer (mostly because it’s free, but also because I actually think it’s better than Lumosity) and so far it’s been great. None of us know whether or not we’re going to get dementia as we age… but as long as brain training doesn’t take too much time, (and is fun) then I say go for it. Thanks Debbie, appreciate you giving your time and thoughts here. It IS reasonable to think and feel better whilst ‘brain-training’, but that position isn’t necessarily one of the future! We sadly don’t know why some get dementia, and others don’t. We do know we can increase our potential for a healthier later-life, via exercise, healthy diets and generally looking after our physical, psychological and emotional well being. I think it is possible to derive at least some benefits from aspiring to be better at whatever we choose and do. I think I have become better able to problem solve as a result of my previous career, but sadly once again, this won’t guarantee me anything if I am unfortunate to succumb to any one of the forms of dementia prevailing. I do think it is a good idea to remain mentally and physically active, but I also believe we must do this because it is a grat choice, rather than because it has to have a pay-back, particularly one that scientific evidence cannot support! Anxiety	Is your phobia killing you?